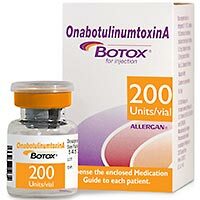 Actavis announced that the Food and Drug Administration (FDA) has approved the label expansion of Botox (onabotulinumtoxinA) for the treatment of adults with upper limb spasticity. The expanded label will now include the addition of two thumb muscles: flexor pollicis longus and adductor pollicis. The FDA has also approved an increase in the maximum cumulative dose within three months from 360 units to 400 units in adults treated for one or more indications. This label expansion is based on two additional randomized, multicenter, double-blind, placebo-controlled studies evaluating the efficacy and safety of Botox in patients with upper limb spasticity. In the first study, the efficacy and safety of one-time Botox injections in 170 patients with upper limb spasticity were evaluated. Patients received a single treatment of Botox 40 units or placebo into thumb flexor muscles. The median change from baseline to week 6 in thumb flexor tone was measured. Results showed that Botox neurotoxin produced a clinically and statistically significant reduction of 1.0 Botox vs. 0.0 placebo (P< 0.001). The second trial evaluated the efficacy and safety of one-time Botox injections in 109 patients with upper limb spasticity. Patients received a single treatment with lower dose (30 units) or higher dose (40 units) of Botox or placebo into thumb flexor muscles. The study found that the higher dose of Botox produced a clinically and statistically significant reduction in thumb flexor muscle tone on the modified Ashworth Scale of 0.5 Botox vs 0.0 placebo (P< 0.010). Botox is already indicated for prophylaxis of headaches in adults with chronic migraine (≥15days/month with headache lasting 4hrs/day or longer); severe primary axillary hyperhidrosis when topical agents are inadequate; treatment of upper limb spasticity in the flexor muscles of the elbow, wrist and finger in patients ≥18yrs; cervical dystonia in patients ≥16yrs, to reduce severity of abnormal head position and neck pain; strabismus or blepharospasm related to dystonia in patients ≥12yrs; adults who have an inadequate response to or are intolerant of an anticholinergic drug: in overactive bladder with symptoms of urge urinary incontinence, urgency, and frequency or urinary incontinence due to detrusor overactivity associated with a neurologic condition (eg, spinal cord injury, multiple sclerosis). For more drug information call (800) 432-8534 or visit Actavis.us.